Spartan Pro athlete, Alexander Nicholas, stood on the dusty sands of the Broken Skull Ranch anxiously awaiting the signal to attack the 1/2 mile Skullbuster obstacle course. His mental calculations told him that if gave 70% effort and avoided careless mistakes, he would easily beat the previous best time. It was the last day of filming for season 1, so run a clean course and he would leave the ranch as Season 1 champion. Alex describes his initial Skype casting interview for Steve Austin’s Broken Skull Challenge that airs on CMT as “uncomfortable”. The interviewer persisted on trying to elicit cocky and vainglorious remarks from Alex that simply are not part of his being. Alex’s intensely competitive nature is subtly cloaked by his friendly demeanor. Alex is not one of the hyper-competitive athletes who succumb to the allure of winning and lose sight of treating others respectfully. Forget the competition. Forget the obstacles. The most difficult task Alexander faced during his 4 days on the ranch was playing a different character for the cameras. Hollywood is skilled at manipulation and it was on full display here. During the 4-day trip he had little information regarding what was going on. The 8 contestants were in complete isolation from each other to prevent any bonding – which is the antithesis of obstacle racing as we know it. I asked how much carmaraderie there was on the set. “None at all. Interactions with others were awkward at best.” The producers and directors went to great lengths to prevent that from happening. When the cameras were rolling, an assistant director patrolled the sidelines encouraging participants to boast about themselves and dismiss their competition. Their strategy for capturing engaging video clips was clear – create a divisive edginess that complemented Stone Cold Steve Austin’s wrestler personality. Speaking of Austin, Alex had the opportunity to interact with him intermittently between sets. A closet wrestling fan, Alex tried to talk to Austin about is former sport, but the star of the show kept diverting attention back to Alex. 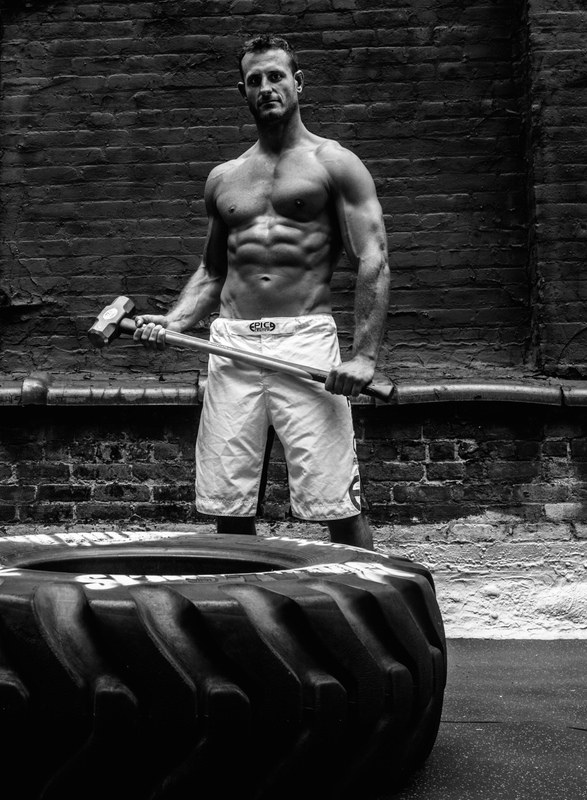 The former wrestler was more interested about Alex, his Epic Hybrid Training gym, and what he did to train for obstacle racing. The self-centered character Austin played in the ring was replaced by an individual who focused his attention on others’ interests. Alexander zipped rapidly through the obstacles. Log carry, low crawl, cargo net, walls, etc. As he himself pointed out, “the obstacles were no more difficult than those found at a Spartan Race.” The most challenging obstacle, I asked? “The balance beams. The cameras didn’t capture the 40 m.p.h. wind gusts cutting across the affectionately-named Nutcracker obstacle, making that crossing much harder than it looked.” I told him that although I know literally dozens of racers who could tear through the Skullbuster as fast as Jon Albon runs down Killington, I know very few who could actually survive the competitions leading up to it. The tournament style competitions do not necessarily favor obstacle racer “types”. Before gaining the opportunity to race the course, Alex had to win 3 consecutive one-on-one competitions – competitions that favor size, strength, and perhaps most-importantly hand-to-hand combat skills. Those competitions played perfectly into Alex’s favor. I was well aware of Alex’s strength and physical abilities, but had no idea he had dabbled extensively in kick-boxing and MMA, even earning a purple belt in jiu-jitsu along the way. He experienced very little difficulty in the first 2 elimination competitions (Drag Race and Bagged, both described at this link). The final Pit challenge ironically offered little challenge to him. His combat skills served him well as he quickly tossed his competitor out of the ring and earned the right to compete for $10,000. If you ever have the opportunity to meet Alex, take advantage of it. You can follow him on his Facebook athlete page or personal page, on Twitter, and/or on Instagram. For more information about his highly successful training center visit. 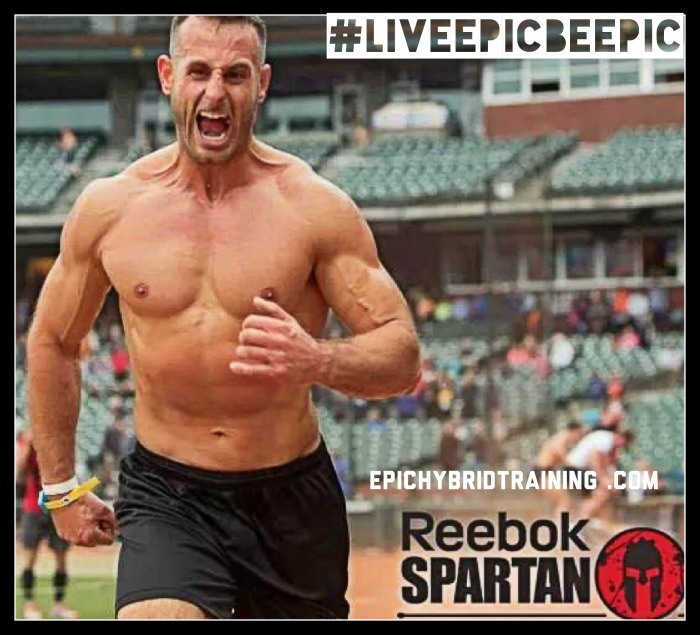 http://www.epichybridtraining.com. If this interested you, OnMyWayToSparta has more to offer on Facebook, Twitter, and Instagram.